DiS meets Ólafur Arnalds - "There is no real music business there... You can’t get famous"
At the tender age of 17, Ólafur Arnalds emerged on the music scene with compositions he wrote as intros and outros for the Antigone album by German metal band Heaven Shall Burn. 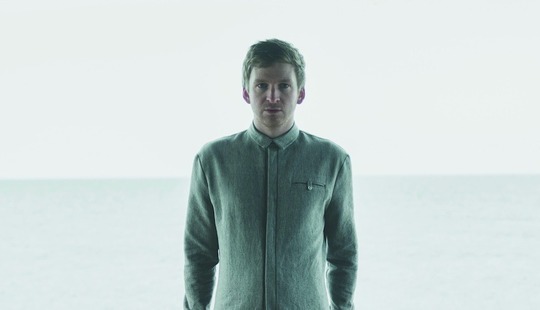 When he was asked to make a full-length release of works similar to those pieces, he said yes, although he later wrote on Facebook that he “hadn't really considered continuing writing music like this.” And the next thing the world knew, Arnalds was receiving widespread acclaim for Eulogy for Evolution, an album which tells a visceral and moving story despite lacking words. He toured with Sigur Ros and was soon selling out headlining shows on his own. Now with a wide variety of releases under his belt and an astonishing work ethic - he spent over 1,000 hours recording each of his last two full-length solo albums - Arnalds keeps growing, mapping out a wider arc for his sound as he does so. We spoke with him before a London concert about composing scores such as his BAFTA-Award-winning one for Broadchurch, his forthcoming collaborative releases, and what makes Iceland so ripe for musical genius. I know you just won a BAFTA award for a score that you did for a television show. And you’ve been doing a lot of scores in recent history. And I just wondered, how do you approach a project differently when it’s a score as opposed to when you just kind of have a blank slate? Well, I think the main difference is that when you’re working on a score, it’s a collaboration. So you have to approach it with the mindset that you are working with someone and you are working for the purpose of the film, but not the purpose of your own ideas. So even though, maybe, the writing itself – like, the actual composing is still the same creative work – you just sit down and you write – but the whole approach to it is a little bit different. And you have to be ready to, in a way, make compromises. Because I can’t make all of the decisions myself anymore. How did your music end up getting involved in the London stage production of Let the Right One In? I don’t know, actually. I mean – I had actually nothing to do with that. They just contacted us and asked me if I was up for it, and I said, “Yeah, sure.” But at that point, they were only asking for like, four or five songs, and I said, “Yeah, no problem.” And then I just handed it over to my manager to sort out the licenses and everything. And I never knew that they went down a much bigger road. And then finally when I was in London a few weeks ago, I went to go see the play, and I saw that they used, like, 15 songs of mine. So I was very surprised myself. I had no idea my music had such a big role in the play. But it’s a great play, so I was very happy that it’s there. Did they mostly choose songs from one particular album? Yeah, they used mostly from For Now I Am Winter. So I think most of the music in the play is based on that. But that’s the part that I knew about. And then in the end, they requested a bunch of other songs from different albums, and even used music from Broadchurch, and so it’s a bit of everything there, actually. Do you consider yourself a classical musician? No, I wouldn’t say that. I’m not a classical musician. My music doesn’t have much in common with classical music today, and especially in terms of what you call the classical scene. I use classical instruments and I use some classical theory, but I mean, so does pop music, and so does almost every music. It all comes from classical music in some way or another. So no, I don’t think so. But I don’t mind if other people do. Your collaborations with Nils Frahm are some of my favorite things ever. I’m always looking for YouTube videos and whatever I can find, and then I downloaded the free EP you guys released, Stare. Do you think that some kind of more formal collaboration is going to happen between you two at some point? In a way, we’re always collaborating. And we’re very good friends, and we hang out a lot. And in fact, I’m going to see Nils next week for five days or so in Berlin. And usually when we visit each other, we end up making some music. So we have a lot of music that has not been released. We currently have no plans for releasing it, but I think at one point we will have enough music to make a coherent album. We might release it. But for us, the appeal of working together is the fact that we are just friends and we’re making music together. Usually when we’re on vacation together, or [when] it’s just a hobby. So I think as soon as we start making big plans for releasing, it kinds of takes that element out of it and takes the appeal out of the whole thing for us. I was just looking at your Twitter, and you talk a lot about the Chopin Project, but I’m not sure I know what that is. Yeah. I think this is something we are formally announcing a bit later in the year. But I’ve been collaborating with Alice Sara Ott, who is a classical pianist, and she’s on Deutsche Grammophone. [This is] on an album which is a tribute to Chopin, in a way. Working with Chopin’s music in new and creative ways. Details of which I will say later, when I actually know what we’re doing. We don’t know exactly yet what this will be. But we have been recording a lot of music and experimenting a lot. But it’s still taking form. When I talked to you about making For Now I Am Winter, you said that you wanted to break people’s expectations. And I was wondering, now that that album is in the past and you’ve received a lot of feedback on it, do you feel like you did break people’s expectations? I think in some ways, yeah. I mean, I wasn’t out to shock anybody. I think that’s kind of obvious. I didn’t do a very shocking album. I think I did something which people found intriguing, and I think I managed to do something new mostly for myself. That I wasn’t repeating myself, and I could stay inspired by the stuff that I’m doing. We have continued to do so, even after I released the album. When we started touring the album, I kept changing the songs and developing things in order to keep that element of surprise in everything. So moving to Kiasmos, how long has this concept been floating around for you? Well, we started making music under this name in - I think it was 2009. 2009, we started making some songs. And it was when me and Janus [Rasmussen] started being friends. I was working at that time. It was before I could live off my music. So I was working as a sound technician at a local venue. And his band was always playing there, and I became their touring sound guy. And so I was touring with them quite a lot. And on the road, me and him started talking about electronic music, and we started making some music together on our laptops. So it has started, like, really early. But not in a very serious way. It was just, like, common love for electronic music. Last year when we decided to put out one song, which was called “Looped”. And it went down really well, and there came a lot of pressure from my label and the management to actually say, hey, we should actually make something here. Instead of being useless and only seeing each other once every two months, and making one song while drunk. Make some actual music. So we decided to take out a whole... it ended up being, like, two months to just record a real album. What are you working on as far as, like, solo music that might influence your next solo album? There’s a lot of things going on right now. I’ve just started work on the new Broadchurch season. I’ve been working on the Chopin Project and getting a lot of more classical influences from that. And then of course, this Kiasmos project is taking over a big part of my life now. So I think the whole working with some of electronic music could either make my next album much more electronic, or it could also happen that it makes me do the complete opposite. Like I get satisfied enough with using electronics there and I just do a lot more acoustic stuff. I don’t know... I haven’t really been thinking about another album yet. I’m somebody who also always has, like, a dozen different creative projects going. And when I sit down to work on something sometimes, it’s like, anything can happen. Are you able to kind of say, like, today I’m going to work on this project and stick to that? Or do you just show up and see what comes and do as best as you can? Well, I try to organize myself in a way that I’m not jumping between projects every day. Because then that will definitely happen. I will just sit down, and I will write for the wrong project. I organize myself in the way that I block out months or weeks for each thing. So after a few days, you kind of just get into the mood of a project, and I will automatically write for that project, because that’s just where my mind is at. Like, this is kind of a creative exercise, to put your mind in the place where it needs to be. And this is taking me a long time to develop, but I think I’m getting there. And I have enough practice in jumping between projects that I’m not able to kind of pin a few days, actually put my mind to something, and let it stay there. If I’m not too distracted. My last question for you might be a little difficult, but I’ve been trying to puzzle out, what it is about Iceland that keeps making such amazing music come out of Iceland. I know you guys have a really long work week there, historically. But I don’t know if it’s just about a work ethic, or what it is. Do you have a theory on this? I mean, there is – I think it’s just a combination of many aspects. One of the most important ones is how small the place is. And the fact that if you’re doing music, you kind of know everyone else who is doing music. And I think that serves as an inspiration, in a way. Or at least we influence each other much more than we usually would. Also, because of the smallness, there is no competition. Because you’re not competing for anything. There is no real music business there. You can’t make any money. You can’t get famous. So everyone is just doing music for the music and for the community. And I think those things contribute a lot to what’s happening here. You’ve been playing shows. Is it going to be just you on stage, or do you have a string section? Or who is with you? Yeah, I have a strings section and also an electronic player and a trombone player. And the singer who was featured on my album [Arnor Dan], he is actually coming with us on this tour... Pretty great. Did you get the remote-controlled helicopters back out? They are sitting in my living room on top of my closet, and they are all broken. Because so many of them stuck in trees, and we had to get them down by throwing rocks at them. So all of them have, like, broken wings and stuff. I need to get a new set. For Now I Am Winter is out now via Mercury Classics. Kiasmos will be released via Erased Tapes on October 27th 2014.